Robin lost her husband several years ago. Now she has a cafe she built in his memory and a three year old son who needs his mom. A developer needs her cafe building for some apartments that will supposedly save the town. But can Robin let go of her memories and accept the changes that are happening all around her? I've read the first book in this series and really enjoyed it. So I was really looking forward to reading this one. Once again the author has captured the reader with amazing imagery, in-depth characters, and thought provoking scenarios. I was swept along with the story as the main characters tried to decide what God's purpose and next steps were in their lives. The emotions were real and I felt drawn to the characters and their situations. The message of rebirth and love are beautifully woven into the story. My only complaint would be that this appears to be the last book in the series. I am seriously hoping I am wrong. I am looking forward to more by this author, hopefully in the very near future. The premise for this book is about rediscovering the you that was lost when you became a mom. Put yourself first and you will become a better person as well as a better mom. I was asked to read this book while I was reading a book about thankfulness and joy and thought it would be a perfect fit. As I read the book I tried very hard to ignore the tone and grasp what the writer was trying to say and not what was actually being said. My take on this book seems to be completely different from the other reviewers so clearly I "heard" the message wrong. 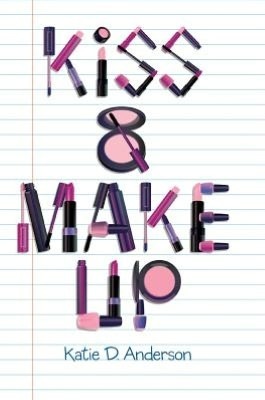 I walked away feeling like the author wrote this book to justify spending large amounts of time away from her children. I understand needing a break, but it seemed to be the only way to find joy was to leave your children with a babysitter so you could find yourself again. I felt she wasn't promoting Christian reactions to situations, she was negative about certain types of friends, and the vibe about non supportive, joy sucking husbands was to leave them. "You are my soul mate, my love, my heart...now go away." As I mentioned, I think I understand the point the author was trying to make. But the tone of the book did not bring me joy or make me feel less stressed. The negativity was actually surprising to me and I kept reading to see if I'd been mistaken. Sadly it never got better. I also realize by writing this review that I will be one of "those women" mentioned in the book. But for the readers who are just like me I felt I had to be honest. Go read One Thousand Gifts if you want a life changing book about joy from a mother who's been there. Nick is finally returning home after years of absence. But someone is trying to take his ranch and he feels it his duty to return. Piper is seeking justice. If that means posing as a ranch cook to get answers she's willing to try. Even if she's never cooked a day in her life. Contested wills, gun shots, and tangled romances all fit together in one amazing book. Great characters, excellent plot, and fun twists make this a great read. The author wove two love stories into one book while creating drama and suspense. The message of redemption and forgiveness was strong, but not overpowering. The imagery of cowboys, ranch life and Montana was beautiful. I really enjoyed this book and look forward to reading more by this author. Lafayette is the last son and not at all like his father and brothers. Deciding to make a name for himself he heads out west to become a marshal. What he encounters is hardly what he expected, but it could just change his life. Rosa joins her family in a move to her grandfather's ranch. His health is failing and he hopes his family can save his ailing ranch. Rosa takes his request seriously and begins to learn everything she can about the ranch. It has been a long time since I've read anything by Morris. I remember really liking his books so was looking forward to this one. The plot was interesting. The characters had some unique traits. But for some reason the story felt forced. It wasn't really something I could put my finger on and left me wondering if my memory of his other books was a bit faulty. I enjoyed the story, but this wasn't his best work. I'm willing to check out the next one in hopes for a bit of improvement. 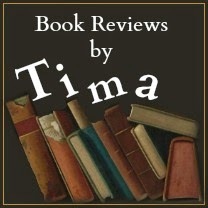 I received this story free of charge from Goodreads in exchange for my honest review. 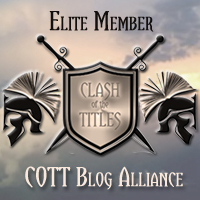 Since I had two contests running at the same time I thought I'd announce all four winners here. Please contact me with shipping info so I can get the books mailed out early tomorrow morning! Thank you so much for sharing and participating in the give away. Stay tuned for another book give-away coming soon. This will hopefully give the post office enough time to get the book to your house in time for Easter. 3. If you share this post on twitter or your facebook page please come back and comment to get another entry. I participated in a blog hop about this book last month. Check out the interview with the author here. Little Cub has lots of questions about Easter as she celebrates with her family. Papa explains all about the special day as they walk through nature where they live. The language used in the book is simple enough that both of my children (4 and 6) were kept interested. They both said they enjoyed the book when I finished. 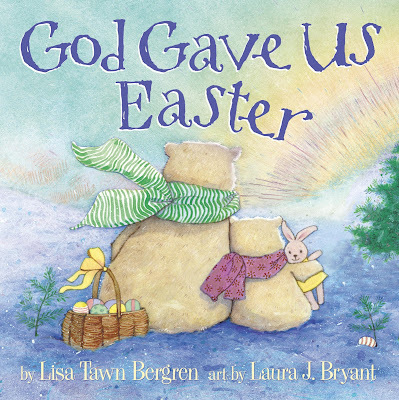 But as a parent, I'm not sure the book is so much about Easter as it is about God in general. It seems to meander back and forth and never really talks about why we celebrate Easter. The kids loved it though and that is really the point. The gorgeous illustrations kept the kids interested as well and spawned quite a few interesting discussions. The illustrations alone are enough to make me keep the book. In summery, this book was great. I would give it 4.5 stars. I just felt the title was a bit misleading. Miranda, a food critic, is sitting in a restaurant with a friend when she sees Gavin. Three years ago after an intense relationship he leaves her for his job. Now he's back running the family restaurant and wants to pick things up when he left off. Miranda is not interested. I would probably enjoy anything that Probst wrote. Her style of writing is humorous, entertaining, and romantic. I liked the plot and the secondary characters. They added depth to the story. The two main characters were fun and real. I had a hard time relating to Gavin who seemed a bit conflicted, but in the end he came around. As I said before, I enjoy the authors style of writing. So while this wasn't my favorite book of hers, it was definitely a fun and enjoyable read. I'm looking forward to reading her next book. I received this book free of charge from Entangled Publishing in exchange for my honest review. Please leave a comment on this post or the review post and I will randomly pick a winner on Wednesday, March 27th. Does your faith feel plastic? Are you borrowing your beliefs from friends and family? The two authors take you through the steps into becoming an authentic Christian with a firsthand faith to call your own. Based on their own experience and then a survey of several hundred participants, the authors have written a book that shows how they came back into the church with a real and firsthand experience with God. It was written with simple and easy to follow steps. Yet the words flow smoothly and I found myself reading some really though provoking concepts. Because they included some of the responses from the survey participants the book lends a feel of authenticity and gives you a broad range of thoughts about the subject. If you are questioning your faith or feel the need for a personal connection than this is a perfect book to start with. The writing style keeps the thoughts moving. The concept is simple, but the outcome is astounding. Using Random.org I found a winner for my give-away last week. Thank you to everyone who participated. I have a pile of books beside my computer that I need to give away, so stay tuned. Please contact me with your mailing address so I can get this book to you as soon as possible. Every once in a while I don't have very much time to read and I enjoy picking up a novella. If written well, I still get the pleasure of a good book without the frustration of having to put the book down while in the middle of the story. So I picked this book up because I'd read books by Beth Wiseman before and enjoyed them. Each story was unique. I certainly wasn't expecting the mid-life crisis plot from Healing Hearts. It was unusual and a fun change from the typical Amish fiction. A Marriage of the Heart was more what I was expecting - sweet and romantic. But I still enjoyed it. What the Heart Sees had a bit more drama, but was also romantic. I enjoyed all three books and look forward to reading things by these authors again. Gina isn't really even an adult yet when she runs off with Prince Charming to start a new life. But his promises soon turn sour when she finds out his methods for controlling her. It seems like a dream come true when a accident forces her to find work outside the home. At her job she meets two women who will change the way she lives her life. I was a bit hesitant to read this book. I was afraid it would be depressing to read about an abused woman. But the author handled the story as a letter written to the woman's child. The women characters are fun and uplifting. The ending is good, but somewhat expected. Amazingly, considering the topic, I enjoyed this story. It was redemptive and encouraging. I will randomly pick a winner on Monday, March 18th. Three modern day characters who are all struggling with their faith journey to Israel. But after falling back into Jesus time' they spend the last week before His crucifixion with him in Jerusalem. I just couldn't get into this story. I would start and then lose interest and have to return later. It took forever to make it through. The story seemed to meander along and I kept expecting something exciting to happen. I felt guilty because I knew it was a story I should be interested in due to the subject matter, but sadly the author didn't put those feelings into the story. It was a matter of the author telling the story instead of helping me "feel" the story. I felt uncomfortable with the way the real story was manipulated and changed to fit the book. I was also uncomfortable with the way Paul and Elizabeth (two of the modern day characters) acted. Paul was married and I would be upset if my husband acted this way with some other woman. The author said it was because they were experiencing something monumental together, and I realize that traumatic situations bring people together. But as a married women I would be hurt to find out that my husband acted this close to another woman when I wasn't around. The hole in the middle of the book was explained at the beginning and seemed like a great idea until I started reading. It was really distracting since it was in the middle of every page. I have to give this a low rating because of the multiple typos, lack of feeling in the story, and the interaction between the characters. I'm glad that this book was so inspiring and heartwarming for so many people, but it just didn't do it for me. Emma writes a letter to a former patron of her father's school in hopes of acquiring his two youngest sons as pupils. Her father has fallen into a sort of depression after the death of his wife and Emma hopes to help with some new students. But the letter that arrives will completely change the course of both of their lives. Emma and her father soon find themselves living with a very strange family tutoring twin boys. Can Emma learn to trust God with their circumstances or will she loose everything she holds dear to her? I've read several books by Klassen and each time I find myself up late at night reading because I don't want to put the book down. I enjoy the historical settings, the romance, and the Christian influence. But mostly I enjoy Klassen's style of writing. She is able to write with such feeling that I feel as if I am living the story instead of reading about it. I can feel the wind and taste the salt of the ocean. I feel Emma's fear when she senses someone in her room and the draftiness of the hallway as she tries to find the source of the noises. I can say without a doubt that Julie Klassen is now one of my favorite authors. Lily has just moved to an Amish community in Pennsylvania with her family. She's worried about school and her new home. But she soon learns to love school and her little room upstairs. The rest of the book is filled with her adventures as a little Amish girl growing up with her family. I loved this book. It's probably written for a younger reader, but it's so sweet that I enjoyed the stories about little Lily as well. I know that my children will enjoy them when they get a little older. I was unaware that this was the second book in the series until after I'd finished the book. It definitely stands alone. The book is sweet and wholesome, while telling the story of a typical little girl in almost any family. Lily deals with the same issues that little girls are dealing with everywhere. She just experiences them without electricity and other modern conveniences. I will be keeping my eyes open for the next book in the series. I would like to have all of them for my daughter when she gets older. Filled with over 150 recipes from both downstairs and upstairs this book will be a favorite among Downton Abbey fans. The book begins with a little bit of history about the differences between recipes upstairs and downstairs. It is then divided into the different courses that would have been served at a typical Downton meal. This is followed by recipes for tea time and then the downstairs meals that would have been served at various times. I'll be perfectly honest - I will probably never use the recipes in this book. But the history that is on each page was extremely fascinating. Any fan of history will enjoy the comments at the beginning of each recipe that explains when and where this recipe would have been used. Two little sections called Times Gone By and Etiquette Lessons are on almost every page and are full of insight into not only the show, but also into history itself. I might not be a fan of cooking, but I really enjoyed reading each recipe and learning so much about the meals from that time period. Mazie can't commit when her boyfriend of two years asks her to marry him. She knows she loves him, so what is the issue? 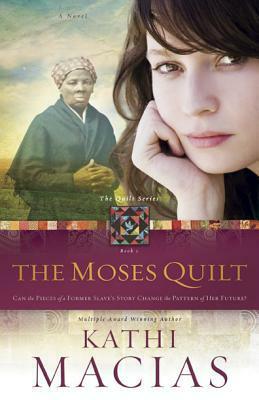 As she tries to figure out her reluctance, her great-grandmother begins to tell her a story about a quilt. The quilt tells the story of Harriet Tumban and her amazing journey to help her fellow slaves. I had only read one Macias book before. I really enjoyed it so was looking forward to starting this book. I was not disappointed. The history and moral lessons woven into the story lend a nostalgic and heartwarming touch. The grandmother was my favorite character. Her story telling and the way she related to her family was beautiful. I appreciated the artful way that Macias handled the subject of racism and prejudice. The ending was sad, but sweet and left me with a beautiful feeling as I closed the book. I will definitely be reading more of this authors books. I received this book free of charge from New Hope Publishers in exchange for my honest review. An anthology of stories about how crazy, impulsive and stupid kids can be is in a word - hilarious. This was my favorite so far of the Not Your Mother's Books. I spent this whole book cringing at the craziness or laughing because I did some of the exact same things. If you had a "normal" childhood spent daring your friends and aggravating your siblings than you will love this book full of similar stories. Written by the "stupid kids" themselves make this even more entertaining and enjoyable. It's not a book that I'll be letting my kids read any time soon. I don't want them to get ideas. But funny for me.